The more stuff being made and sold, the higher the demand for such ships, and thus the higher the price to rent one. And vice versa. 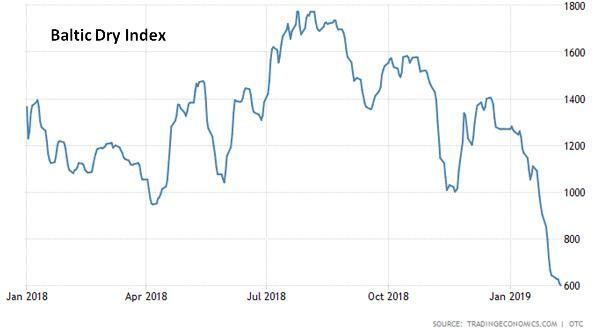 A slowing global economy, coupled with weak demand from China over the Lunar New Year and from Brazil after Vale SA's iron ore disaster, is dragging shipping rates to near record lows, and few in the industry expect things to improve any time soon. "Everyone is looking for a catalyst to push the market up, but it's not there," said a Singapore broker.